9/11/2018 4:31:00 PM - Education Dept. Join us for an evening of discussion about screen time usage for all ages. 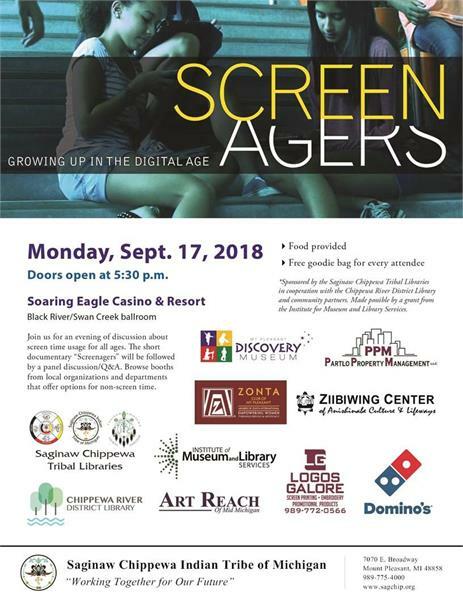 The short documentary “Screenagers” will be followed by a panel discussion/Q&A. Browse booths from local organizations and departments that offer options for non-screen time.